Veuve Clicquot in the Snow is back, allowing a luxurious, fun long weekend in August. 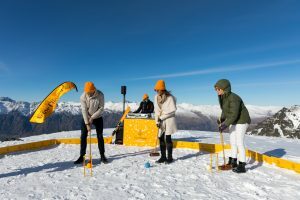 Powdery slopes, Apres Ski bars & new off mountain experiences, Veuve Clicquot is bringing true clicquot style to Queenstown. Experience four days of Clicquot inspired activities & experiences in the heart of Queenstown. Looking for a Winter Weekend away? Enjoy the colder temperatures in style with fine champagne, clicquot styled decor, through to the snowy mountains. Here is the low down for this years event. The 4 day weekend of Entertainment! 2-5th August, Queenstown is painted with Veuve. Its time to start a list of the activities & places you may like to visit for the weekend. The options are endless, all beginning in the most beautiful setting of Queenstown. Heading to the slopes or fancy a afternoon at the skyline? 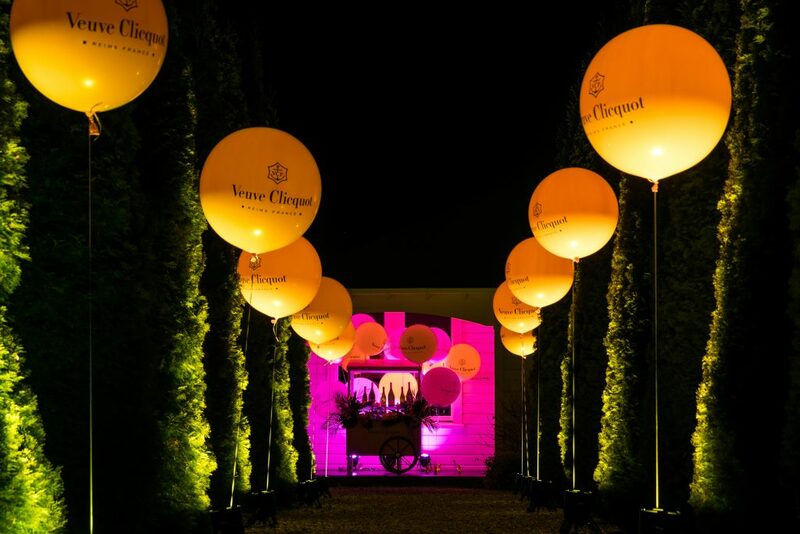 Clicquot inspired events fill the days. Skiing & Snow boarding, snow capped peaks & alpine experiences, Clicquot will be having the Apres ski bar at the mountain, the perfect place to unwind after a busy day at the slopes. High Tea at the Skyline, sweets & savouries paired with clicquot & Apres ski snow bar run throughout the weekends events, along with special tasters below. Love a Long Lunch or a treat at the spa? Rata offers a 4 course degustation designed by Josh Emmet, pairing courses with Veuve. The Hilton Queenstown will have several Clicquot inspired twists alongside a flute and facial at Opulent Eforea Spa. Kathryn Wilson runway show presented by Veuve Clicquot, is held on Friday night at Jacks Point, featuring a cat walk of her Spring/Summer 2018 collection celebrating the brands 15 year anniversary. Bring out your cocktail winter chic. New to this years agenda, is the Clicquot snow show experience at The Snow farm. ‘Venture off the beaten track – explore the snow covered hills of the southern alps. Then from this experience, head to the iconic Meadow Hut – enjoying a grazing platter & a bottle of champagne, running all month long. This years Veuve Gala, tops off the 4 day weekend with a celebration around the 200 years since Madame Clicquot created the worlds first Rose Champagne. Entertainment, cocktail winter chic at Red’s Bar in Queenstown themed, this event is a not to miss! 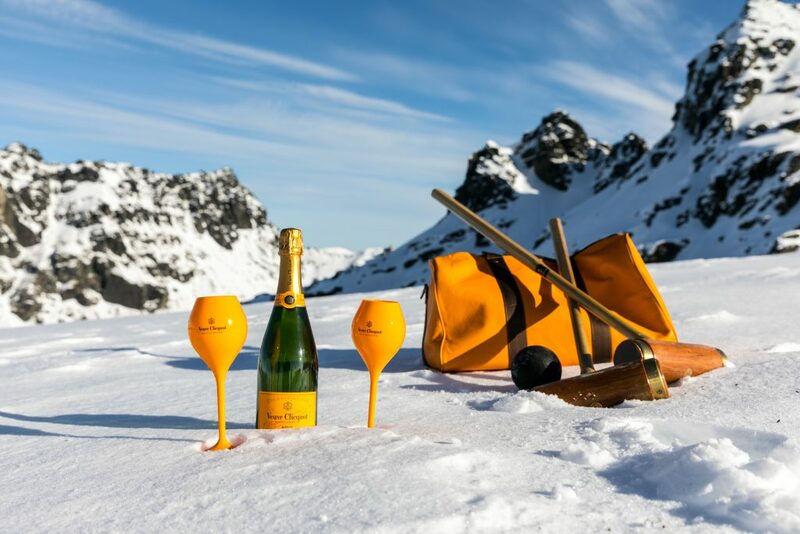 Enjoy some events, or all, no matter what Clicquot in the snow, is an eventful, Veuve filled celebration!